This set of broad primarily based designer bangles has a sublime look and complicated attractiveness which will attract most females. Lovely stone work of clear quartz and ruby that adorns the bangles provides them with an impressive aura. This set of broad based designer bangles has an elegant look and sophisticated appeal that will attract most females. 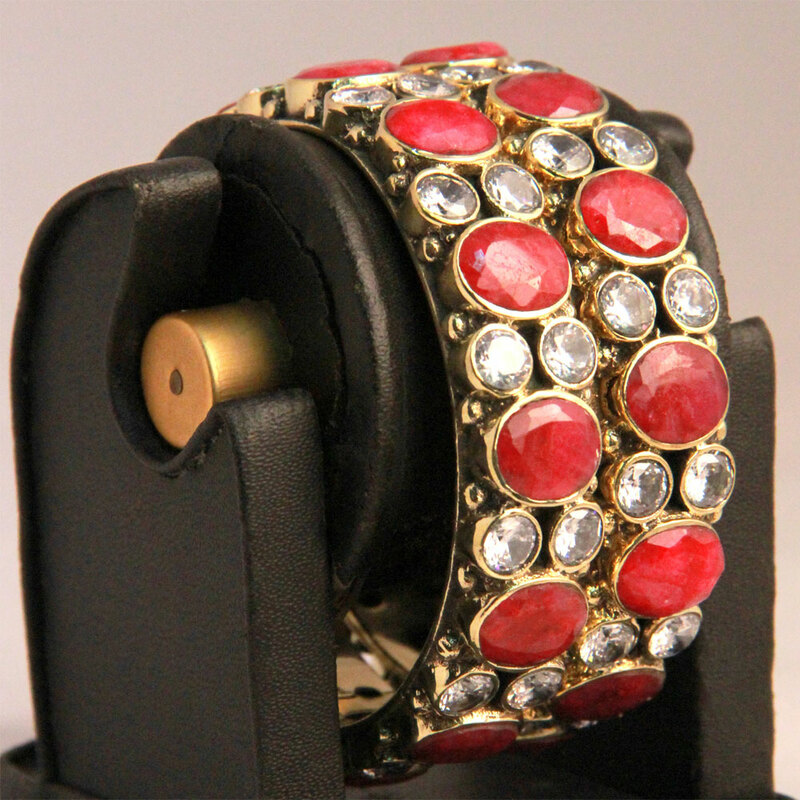 Beautiful stone work of clear quartz Read More..and ruby that adorns the bangles provides them with a majestic aura. The bangles are available in three common sizes of 2.4, 2.6 and 2.8 inches. Show Less..